Bright Green Technology, has further developed its Enhanced Illumination range to include lighting control software from amBX. Enhanced Illumination brings dynamic lighting to media sites, increasing impact and setting them apart from their surroundings. Software from amBX delivers high performance lighting control without the need for programming or a complex interface. 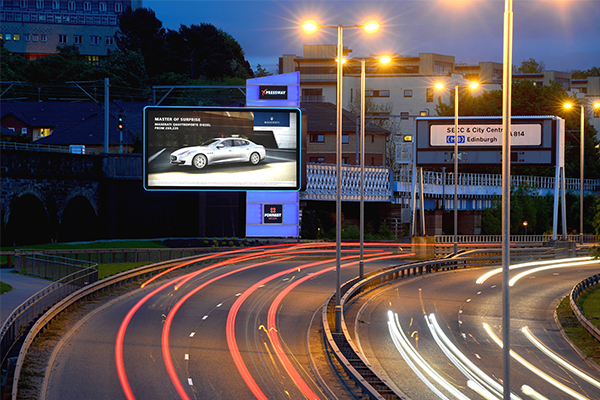 Digital content is interpreted in real time and automatically matches ambient lighting to what’s on display. This means that lighting can be in corporate colours or that creative effects can be triggered in time with the content. The unique amBX system has already been adopted by several major media owners.